A R E S T A U R A N T W I T H A N E W V I E W .. 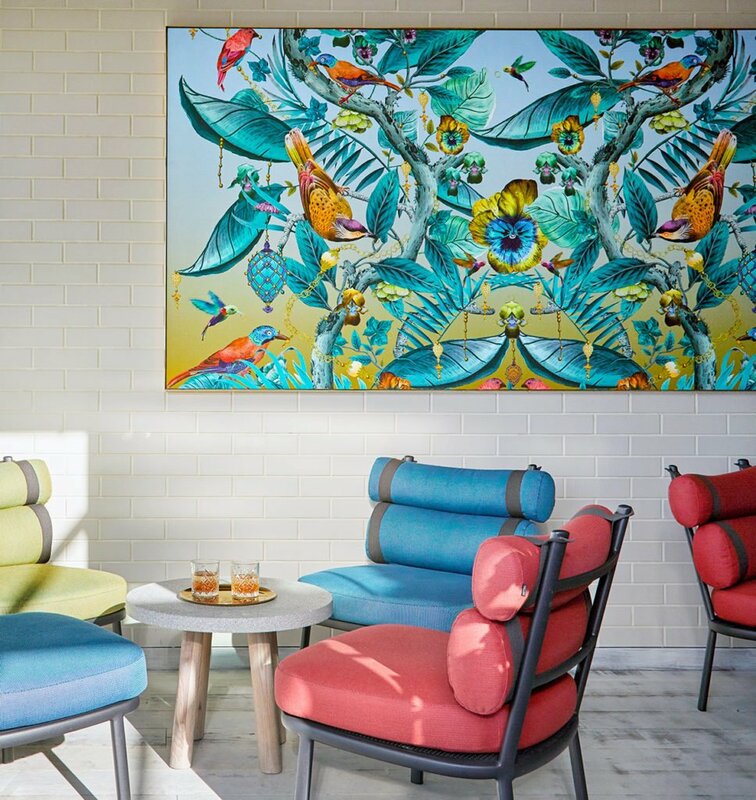 Known for there distinctive and uncompromising stance on modern hospitality, earlier this year Puro Hotels In Collaboration with Hotel Curator duo Double Decker approached Kit Miles studio to create two custom works. The brief was simple, to Create Magic. 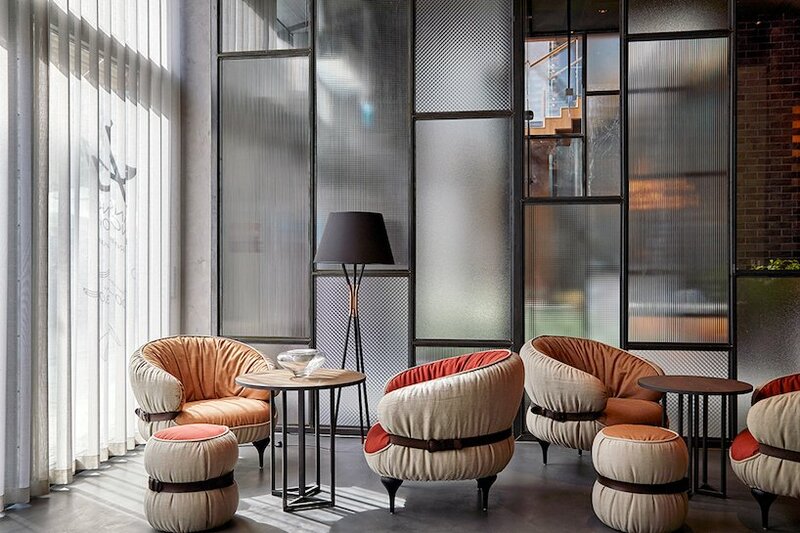 When we started working with Puro Kit Miles selected two patterns from his recently completed collection to work into customised panels for the hotels bussleing executive bar and lounge spaces. Kit chose ‘Ecclesiastical Botanica’ and ‘Moire’ to print onto cotton and a specially treated antiqued mirror printed using opaque inks. We believe that through design we create valuable moments for human connection. 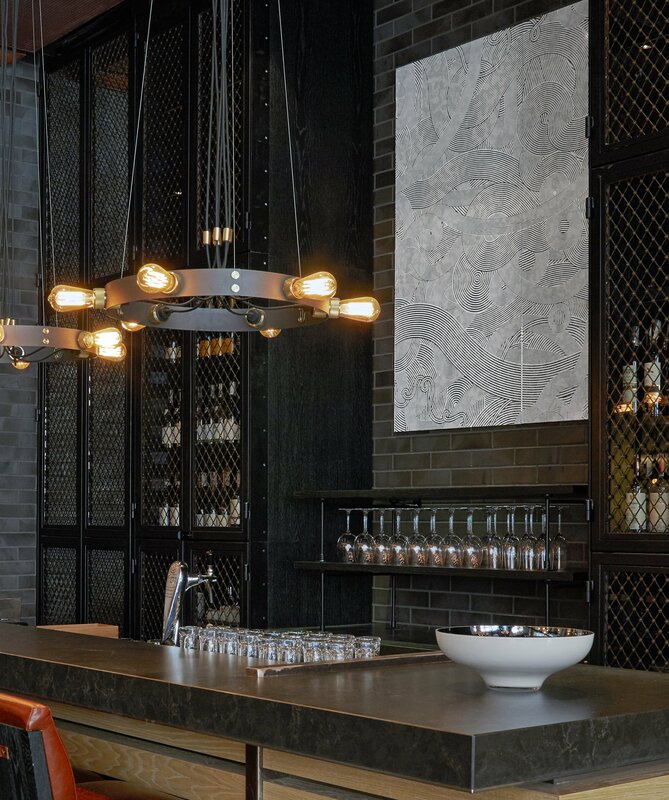 We help turn spaces into destinations and through our custom service we can bring our unique expertise in contemporary wallpaper to projects for both residential and commercial developments. Old and New, Science and Design, Simplicity and Complexity. Duality gives rise to complexity, and in the modern world, complex items need to have a place. That is why we are constantly striving to develop and evolve our design rationale in the pursuit of designing something particularly special.